Customers are often looking to take product in a batch size that will enable them to get the right price but in doing so they may not have enough space to store the product until it’s all used up. This simple ‘flat pack’ trick may be the answer in some cases. 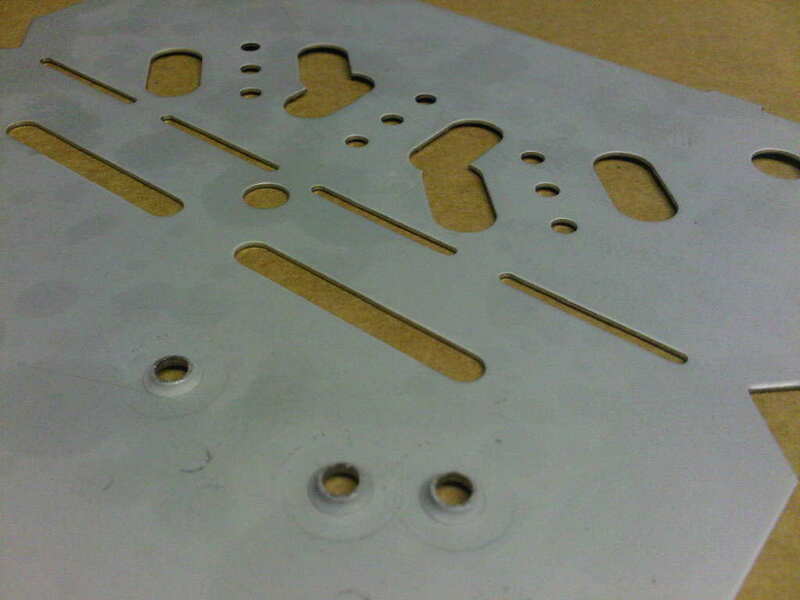 By CNC punching a series of slots in the sheet metal the component can be weakened so it’s easy to bend by hand in assembly. The same principle can be used for earth tags where a quick push with a screw driver is enough to allow a terminal to be screwed in place. The trick with this technique is to remove enough material to make it possible to bend in assembly without being a weight lifter but not so weak that the parts sag under their own weight. 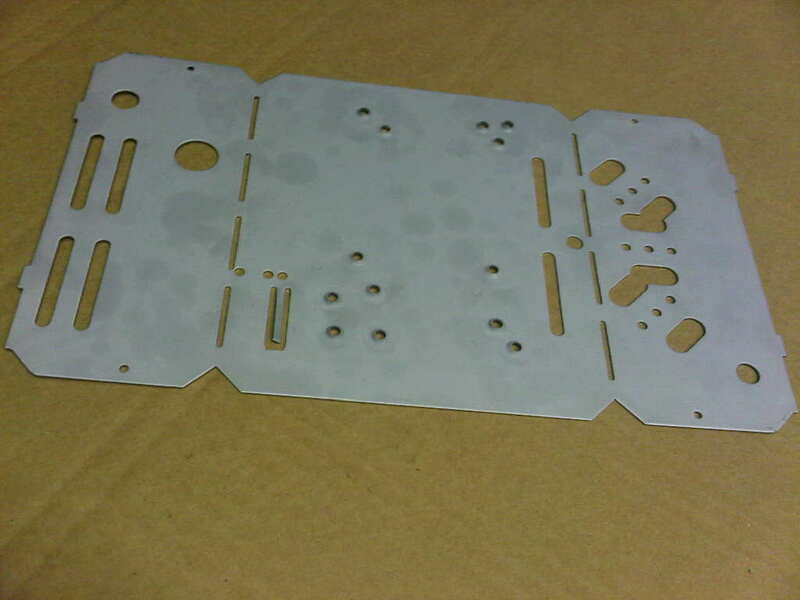 These gear trays also have taptite screw plunge holes CNC punched into them. These features enable a self tapping screw to cut into more material than just the sheet metal gauge reducing the risk of stripping the thread when over tightening the screw. They can also be use to remove the need to mask threads while powder coating.